Last night we sang "God Moves in a Mysterious Way" with our church family. It comes from the Scottish psalter, music by William Cowper. The fourth stanza stuck out to me, especially in light of our baby Kali, whose name means rosebud and who never got to see the light of the sun here on earth, but who is blossoming quite beautifully we believe where there is no need for sun because the Light of God's presence shines there. (See "Rosebud Reflections" for more). But sweet will be the flow'r!" God is using each taste of bitterness to yield sweet beauty. Micah wanted me to post this book. It's his favorite (along with the Focus on the Family's Radio Theatre unabridged recordings of this novel). You will love Christian Birmingham's illustrustrations and the careful abridgement of the text. My husband was marketing Christian products in the CBA and would bring home samples from time to time. When he brought this one home, I was thrilled. Our ladies at church were getting ready to use this book for the weekly Bible study time and I have liked what I've heard of Nancy's ministry. For me, this devotional came at just the right time. I started the study on February 6, not knowing that later in the day I would find out that I was having a miscarriage (See "Rosebud Reflections"). At times like those, it's so important to keep our eyes on Jesus and having a guide to walk through especially that beloved book of Psalms kept me in the Word and putting one foot in front of the other. Each lesson follows the same, progressively deeper approach to the particular psalm: observation, followed by interpretation, and then finally application. The psalm closes with the reminder to pray, not only for yourself but also for someone the Lord would lay on your heart, then a hymn text, and place to record your "take-away thought" for the day. There's nothing fancy about this study guide, really nothing you couldn't do on your own, but sometimes when trying to decide what to do next in your Bible reading when your world is already spinning because of crisis circumstances, a pre-laid plan is exactly what you need. It's what I needed. And now I have a record of all those things God taught me as he carried me through the past month, and I am so thankful! 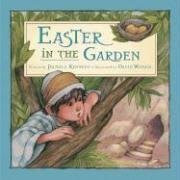 I originally picked up this book (by Pamela Kennedy) because of its beautiful illustrations (by David Wenzel) and because of the Easter theme. But when I opened the first page and saw the main character's name was Micah (my first son's name), I had to get it! Micah has two concerns: that the eggs he has found in the garden will never hatch and that Jesus is dead and he will never see Him again. As the story unfolds, Micah watches the Roman soldiers march through the street. The family's faith is tested. There are tender moments with his mother, the practice of the Passover/Sabbath supper, and the revelation of the angel in the Garden. As Micah watches from his perch in the olive branches, he hears that Jesus is alive and then sees the eggs hatch. He runs home to tell the most exciting news...not that his birdies have hatched, but that Jesus is alive!! A sweet book to discuss with your kids. One that you'll want to prompt reading comprehension with. I hope you'll enjoy it! No heartbeat. It was supposed to have been a routine obgyn check-up. I felt fine. I almost cancelled, in fact. But God in His sovereignty and kindness didn't allow me to do that. And even before the doctor looked at the ultrasound monitor to confirm the technician's findings, I knew the truth: There was no heartbeat. Our baby was gone. In that moment, as I lay on the medical table, my swollen belly smeared with gel, a quiet Voice echoed in my heart: "It's all right, Michelle. I have her, right here in My arms." Would you please pray for us today. Some of you may not have heard that we were expecting a new little baby in July. Before you get too excited for us, let me just continue the story. We found out yesterday that our baby passed away a couple of weeks ago in utero (14 wks gestation). The miscarriage started naturally this morning and we were scheduled for "surgery" at 12:30, which we will continue as planned unless something progresses more rapidly, but I kind of hope it does. I would really like to have the miscarriage before the surgery. We're both doing well and know God is in complete control. The verse I've claimed this year has been in Psalms: "God's lovingkindness lasts forever!" I know He loves us and I've seen in so many ways his gentleness. I'll share just one. He graciously allowed me to go to my scheduled OBGYN appt yesterday. I almost cancelled b/c I've been feeling fine and just frankly wanted to save the out of pocket. I'm so glad I went. If I had started the miscarriage this morning and not gone yesterday and found out, I probably would've panicked. As it is, I was mentally prepared and can only thank God for that. In God's sovereignty, my second devotional book went to press this week. The title? 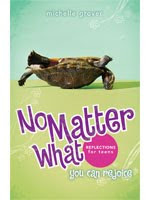 "No Matter What--you can rejoice!" That is my testimony now I think more than ever. 1. That "God grant me the serenity..." and keep my mind thinking things that are true and righteous. 2. That the baby miscarry naturally without any complications and that the procedure later today goes smoothly. 3. That the kids would be able to respond well. We have not told them yet, but Micah's the one who prayed for this baby in the first place, so it may be somewhat difficult. Thankfully, again, their friend's mommy just went through the same thing and so we have talked about how God sometimes brings babies home to be with Him when that's what's best for the baby. I have never been more convinced of that in my life than I was immediately when they could not find the heartbeat with the ultrasound yesterday. 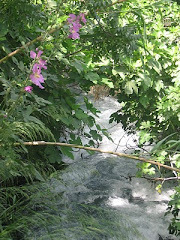 God's grace blew in as powerfully as the gails outside were blowing yesterday, and with a calm serenity. Well, I'm going to go lie down for a while. But I do appreciate each of your prayers. You all are so precious to me! Thank you so much for praying for us. I am home now and doing so much better than I could've imagined. The Lord graciously allowed my water to break just as I was arriving at the hospital (10 am). I believe it was a direct answer to prayers and just a testimony of God's lovingkindnesses again for me that He allowed the miscarriage to occur naturally before the procedure. The surgery went very well and everyone at the hospital (St. Francis Women's) was so loving and kind. I was asleep for the whole procedure and have had very little pain, etc. Please, do not pity our circumstances. I know that the death of God's loved ones is precious to Him because He is welcoming them home to His arms. I know that my heavenly Father loves us and our little one and that He is watching over this precious little life that He created. I keep thinking, our child is right now praising Him perfectly. That is an amazing thought to me. I have never felt more wrapped in His arms myself. He has been so gracious to answer our prayers so specifically and to give us so many loving friends. We still have to tell the boys in just a little while when they come home and so we appreciate your prayers for them as they loved this baby quite a bit already. I know God will give them His grace too. Well, I'm going to go lie down now, but I just wanted to say thank you. I am so thankful to be a part of God's family. I could tell so many of you were praying for me. Again, please feel free to forward. Thank you once again for your prayers. We saw God answer each of the three original requests so sweetly! The final request was for our boys. "Jesus loves me-- This I know for the Bible tells me so. Little ones, to Him belong. They are weak; but He is strong. We talked about who little ones and to Whom they belong. 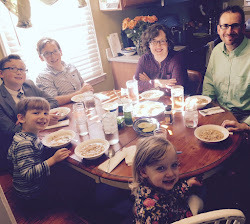 Then we were able to tell them that our baby belongs to Jesus, etc. They had a few questions, but responded in true child-like faith. What an answer to prayer! Later as they were rocking in the chair with Daddy, I came in and sat at their feet. We talked just a little more. So anyways, they were sitting there in the chair and we were talking about the baby being in heaven, and Micah said, "She's all done here on earth?" "Yes, Micah." And as the next words came out of my own mouth their reality hit my heart: "Our baby did everything God wanted her to do. She accomplished her assignment and so God let him come home." (Though I can't remember the exact words, that was the gist.) And that thought so amazes me: how God can use an unborn child, so small, so innocent, for His glory and to accomplish His perfect work! Our baby completed her course! I can not tell you how many people we were able to share our faith in God's sovereignty and love with as a result of this, and I'm sure that His work will only continue till He has accomplished all that He will do on this earth with each of us and call His beloved Bride home. There is a resurrection! And we are SO looking forward to that. Well, this is the end of our little email trilogy, but I wanted you to know how truly awed we are at the specific, individualized answers to prayer. "Let the words of my mouth and the meditations of my heart be acceptable/pleasing in Your sight, O LORD--my Strength and my Redeemer." Psalm 19:14. Our family verse: Psalm 48:14, "This God is our God forever and ever! He will be our guide even unto death!" We found out that our baby was indeed a girl and that she had trisomy 18. (See www.trisomy18.org/ for info.) We wanted a beautiful name for our very special baby girl and decided on "Kali Grace." Kali (pronounced "kay-lee") means rosebud. A rosebud--that's just what she was, our little rosebud. It was God's grace to her, His very kind and special grace, that brought her home to Himself just as she was beginning to bud. But she is very precious and beautiful to us and we believe she is a fragrant aroma in the nostrils of our wise and loving heavenly Father. The verse I have claimed for Kali Grace is Psalm 71:6, "Upon You I have leaned from before my birth; You are He Who took me from my mother's womb. My praise is continually of You." If you or someone you know is going or has gone through a miscarriage and would like to "talk" please feel free to email me: ps48.14fam@gmail.com. I will pray for you. 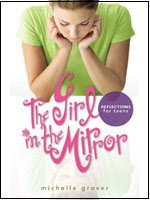 The Girl in the Mirror is my first book (published through JourneyForth, 2006). A devotional Reflections for Teens, this book helps girls take a close-up look into the book of Proverbs and examines the two types of women described there (the "praiseworthy" and the "problematic"). Each of the twelve lessons includes the following elements: Opener, Focus Passage, Facing the Facts (fact-level, face-value questions), A Closer Look (more questions, but a little deeper level), Time To Reflect (personal application), Additional Study (optional suggestions), and Memory Verse. 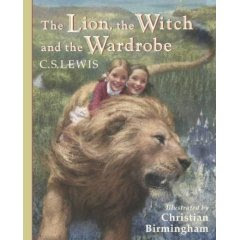 You can view the first chapter and table of contents at http://www.bjupress.com/ or http://www.christianbook.com/.